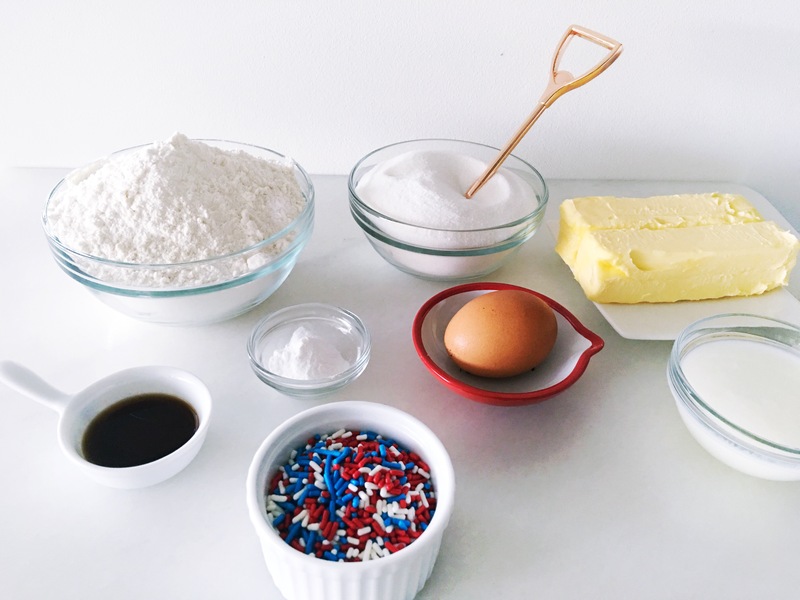 So this recipe may seem a little preemptive, considering how far away the 4th of July is, but I only had red, white and blue sprinkles at my disposal when I decided to whip these up, so work with me. 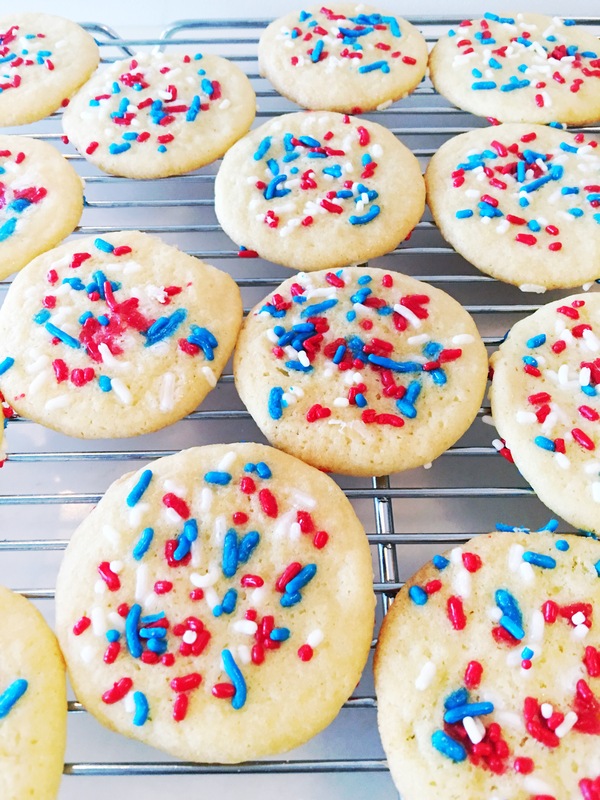 Obviously, you can use a more season-appropriate sprinkle mix, or sanding sugar, or leave the topping off completely, and still enjoy these cookies. Don’t get me wrong, I love all cookies. Flavor, size, shape, filling, topping; it doesn’t matter, I love them all. That being said, when I’m feeling particularly low or lazy or down, I crave a box of the chewy sugar cookies they sell at my local grocery store. They’re not too sweet, go perfectly with a glass of cold milk, and, for me, are a perfect comfort. 1. Preheat oven to 375F and place racks in the middle positions. 2. 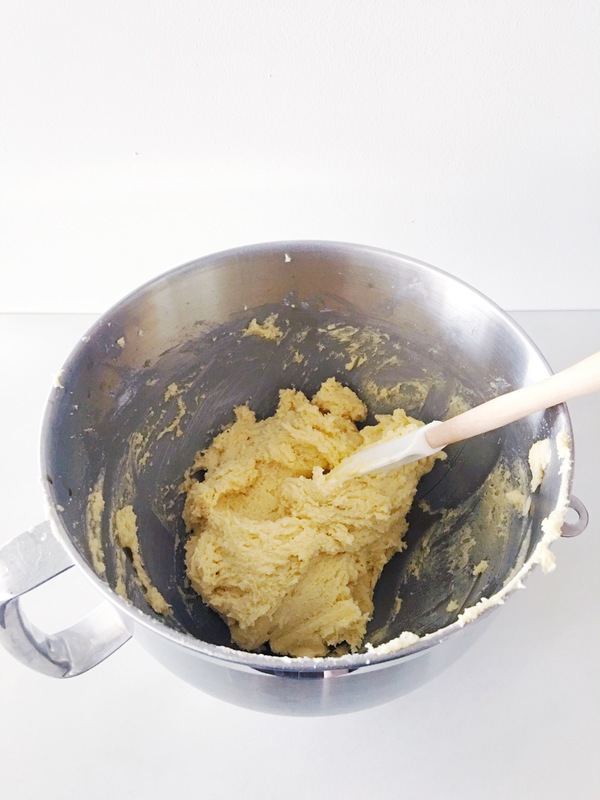 In the bowl of a standing mixer fitted with the paddle attachment, beat butter and sugar together until light and fluffy. Scrape down the bowl. 3. Add the egg and vanilla extract and beat to combine. Scrape down the bowl. 4. Add the flour, baking soda, baking powder and salt. Mix to combine. 5. Add the buttermilk, 1 tbsp. at a time, until the dough is soft, but not wet. Reserve any excess buttermilk. 6. 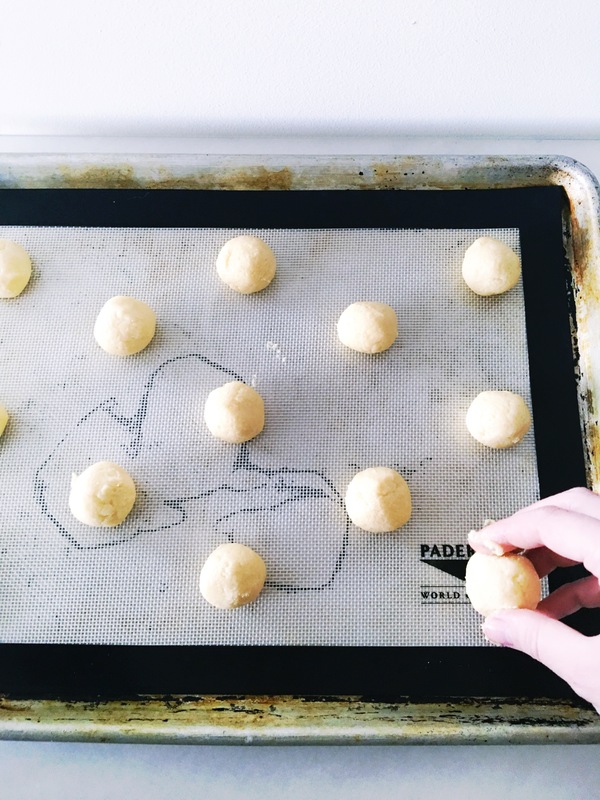 Roll the dough into large teaspoon-sized balls and arrange on ungreased sheet pans, leaving 2″ between each one. (I lined my pans with SilPats. Alternatively, you could also use parchment.) 7. 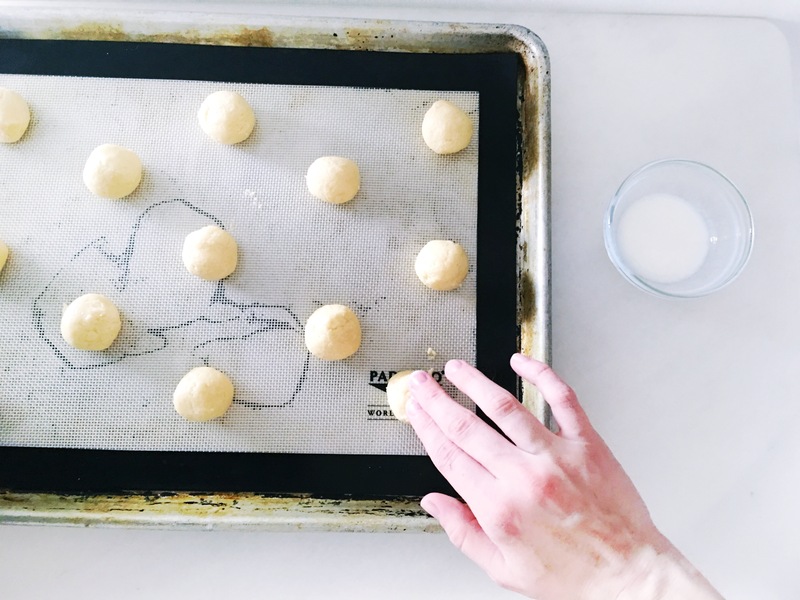 Dip your fingers in the excess buttermilk and press down on each cookie ball, flattening them slightly. 8. 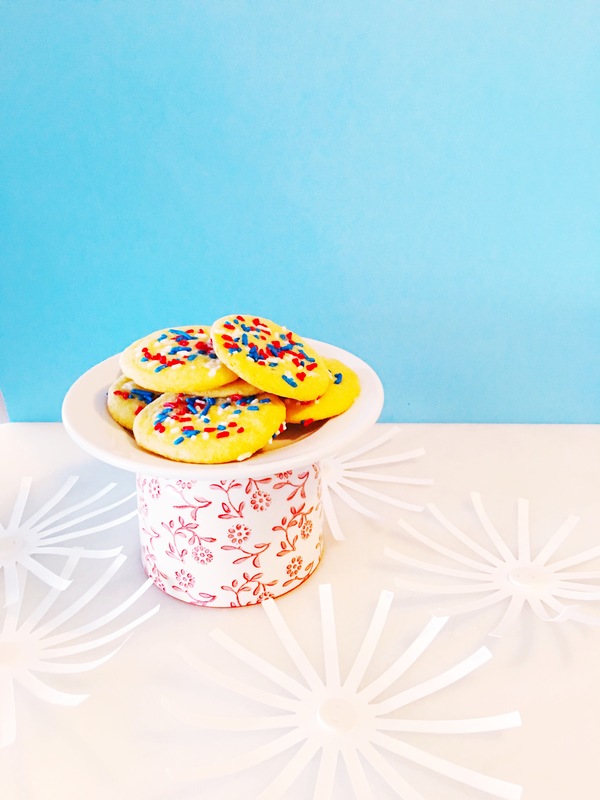 Top each cookie liberally with sprinkles or sanding sugar. 9. Bake cookies ~10 minutes or until very lightly golden around the edges. You may have noticed that I didn’t include refrigerating the dough in the instructions for making these cookies. 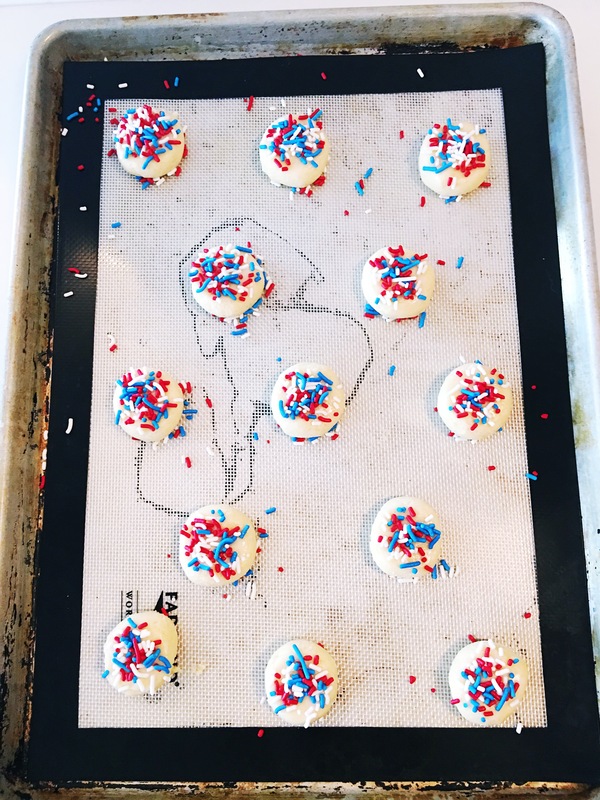 I know I’ve exalted the value of refrigerating doughs in the past, (chilling the butter is generally very important in order to promote steam, and thus rise), but in this case, you want the cookies to go in the oven at room temperature. That will cause them to spread, rather than rise, which helps to promote that chewy thing we’re going for here. If you can’t bake the cookies right away, just leave them at room temperature until you’re ready.